Even if you consistently brush and floss your teeth more than twice every day, without fail, you still shouldn’t skip your routine dental checkup and cleaning appointments. For patients of all ages, a good hygiene routine at home is only effective in the long run if combined with a steady schedule of preventive visits to your dentist. Besides thoroughly cleaning your teeth of harmful, bacteria-rich plaque and tartar, your and your children’s appointments are also vital for the careful examination by your family dentist. Routine dental checkups are important for allowing your dentist to detect issues early, and recommend appropriate treatment before the condition grows worse. 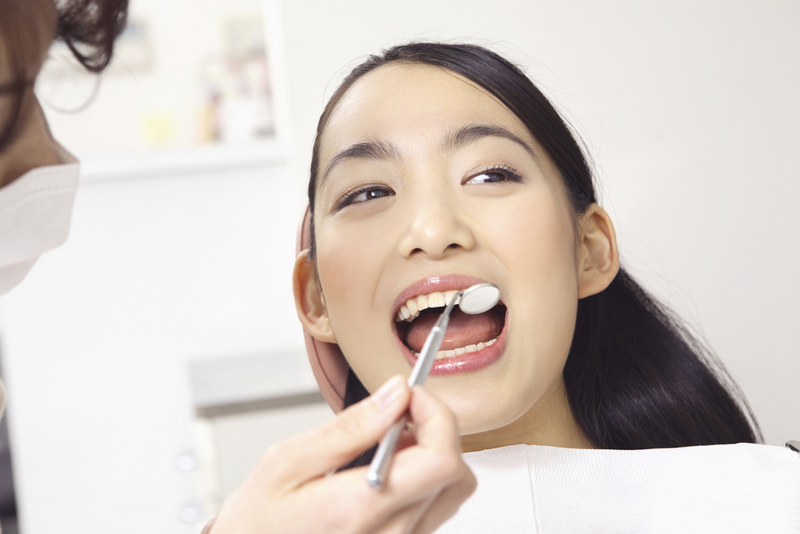 A dental checkup involves your dentist carefully examining the health of your teeth and gums, including your tooth alignment, the quality of their protective enamel, and more. For children, regular checkups allow us to keep an eye on their still-developing teeth and oral structures. If a problem, such as malocclusion, is caught, then detecting it and correcting it (with interceptive orthodontics, for instance), can prevent your child from experiencing more severe dental issues in the future. For most dental issues, including crooked teeth, the longer you wait to address the problem, the worse it will become. Your dental checkups not only reveal if you need treatment; they also help you avoid the need for more extensive treatment by allowing your dentist to address the condition in its early stages. In the case of malocclusion, time can allow teeth to grow further out of alignment, leaving them more susceptible to damage and infection. Untreated malocclusion can also increase your risks of tooth damage and injury to your jaw’s joints (known as TMJ disorder). Bringing your bite back into proper alignment will help you avoid, or at least reduce your risks of, developing related dental issues.